During our Friday Night Hangout I talked about how to disable background data. This will not only save you data if you have limitations, but it'll also go a little ways to saving you some extra battery. 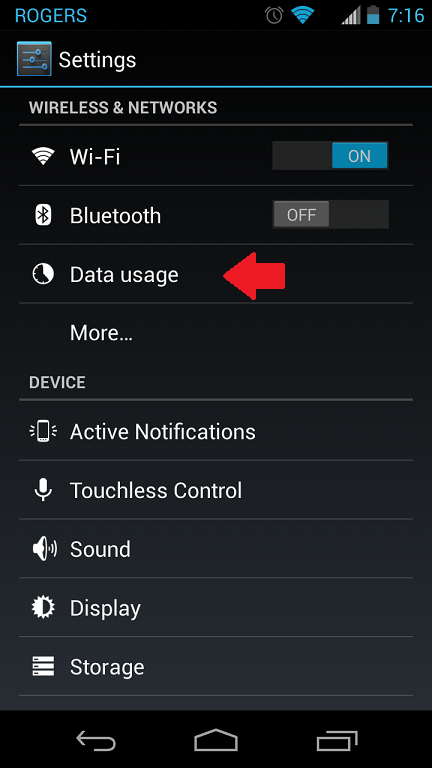 Here's a very simple step by step on how to disable background data to a selected app. 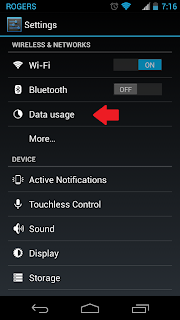 To start things off you'll need to navigate to your (Settings > Data Usage) The location of this menu may vary on some devices, but it's always relatively in the same place. 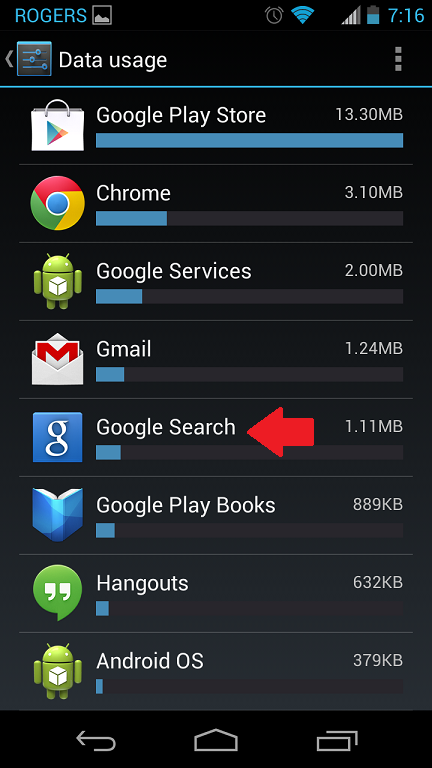 Find and identify the app you'd like to disabled background data on. For this example we're going to disabled Google Search background data. 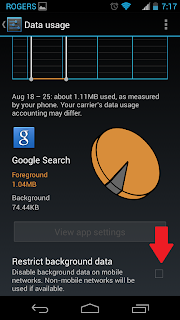 After clicking on your chosen app, you'll see some statistics of its usage. By scrolling to the bottom of this page, you'll find the "Restrict Background Data" button. This only disables mobile data background usage, it'll work normally while connected to WiFi. One thing you need to remember when disabling background data on some apps. You may lose some functionality of services on your phone while on mobile data if these services rely on the app you've just disabled background data on. So keep that in the back of your mind before you start disabling everything in sight. For Example: Google Now is part of Google Search. 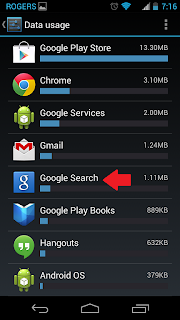 By disabling Google Search, your Google Now will only update over WiFi because we've restricted it. 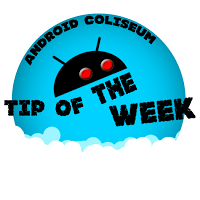 We'll have a new tip for you next week! So until next time, keep those tips flying and share with others. A knowledgeable community is a happy community.